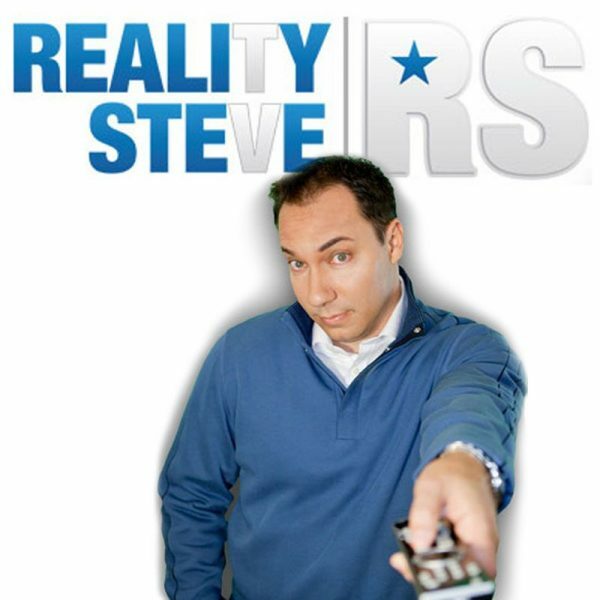 I’ve told you since I started the podcast that I’d love to have nothing but former contestants on every week to give an update on what they’re doing, talk about their time on the show, etc. Obviously I wouldn’t be able to do anyone on Nick’s season (or any future season that’s in production or then currently airing), but there’s nothing legally that prevents me from talking to former contestants. Maybe some of the content we talk about could be off limits, but them just coming on isn’t. However, a lot of these contestants are still “scared” so to speak of the ABC brass hounding them, or asking whey they’re associating with me. So of course my pool of candidates then becomes limited. But luckily for us, our guest this week didn’t seem to care so I appreciate that. It’s Nick Peterson, former “Bachelor Pad 3” winner, contestant on Ashley Hebert’s season, and also a contestant on “Bachelor in Paradise 2.” We cover all that and a lot more in today’s conversation, so be sure to take a listen. Working on future guests with former contestants, but always keep in mind that some of them (ok, a lot of them) don’t want to burn any bridges within the franchise, and since I’m public enemy #1, it might not be a good look for them. Then again, I’m the same guy who had exclusive interviews with Wes, Rated R Rego, and Rozlyn in the past, and that didn’t prevent Wes and Rego from getting cast on “Bachelor Pad” seasons, and nor did it stop them from wanting Rozlyn on. So, I guess it just comes down to each individual person and whether or not they think in the end the show really cares. My guess is they really don’t, but they have to pretend they do. Nick’s interview was great. Insightful to his times on the show and is open about some of the decisions he made. May I suggest that if there are any items in his home that belonged to your mother that mean something to you that you meet with him to discuss that you you would like to please have these items because they hold personal value to you. Try not to sound like it is because he is dating but because you really value these items and it would give you happiness/solace to have something that belonged to your mother or that you associate with her in a positive way. If he is not ready to part with anything specific, perhaps you can mention that if he is ever going to get rid of certain items that he let you know first to give you the option of keeping them rather than the items going to strangers/Good Will. I do not think that it is too early for him to be happy with the companionship of someone else; in no way does this diminish his love for your mother or how much that relationship meant to him when they were together; but she is gone… It is a blessing to love and be loved and not go through life alone especially when one gets older (unless one prefers solo life which is a perfectly lovely as well if preferred) I think that you will be happier if you embrace his new relationship as positive and try to get to know the girlfriend – who knows how long this will last, but at least you will be supportive and not alienate yourself from your dad’s life. Be open to him telling you that he misses your mom, but also is happy to have met someone new to share his life with for now – be happy for him. It helps no one to sit at home alone depressed and not active wallowing in the pain of a spouse who is gone – how does this help your mom? I am sorry for your loss and the sadness of suddenly losing your mom, but you have an opportunity to not lose your dad as well. If you are supportive and loving, I hope that he is supportive and loving in return. Unfortunately there can be times when widowers/widows do try to erase the pain of loss by completely replacing their “old” lives with a new one and try to move on as if nothing was lost, but based on your letter, it seems that he was showing you pictures and openly telling you that he was spending time with his girlfriend in an attempt to bring you into his new relationship not block you out – good luck. So, Mother Died, Dad’s dating: The first thing to understand is that A LOT of guys do not do well without a wife. It’s very common for guys to jump into a relationship a lot faster than 18 months after their wife passes. It’s true that some guys never get over it and struggle to date, but a lot more start to really struggle with being lonely & probably with household chores, shopping and cooking too (presuming Mom took care of those things. Wives often do a heck of a lot around the house). People don’t realize this, but after a spouse dies, there’s a lot of outpouring of support, visits, cards, flowers, etc. Then a couple of weeks later, everyone goes back to their life & the spouse is left in an empty house to fend for themselves. Given that, in a lot of cases (most cases really), they probably are looking at a choice to be depressed & alone or get out there and start dating. You actually have to be impressed that he’s not just sitting in his house moping. He’s actually doing something to improve his life. Grieving is different for different people. And clearly you are grieving differently than he is. So, of course, you don’t understand. My best advice for maintaining the relationship is for you to be extremely supportive of his new relationship & any others that he might have (even if you hate the woman). Tell him how great it is that he’s back dating and getting his life together. Tell him how sweet his girlfriend is, no matter what your might really be feeling. You may need to bite your tongue & bang your head against the wall later after doing this. But, you SHOULD be supportive. And the best way to be supportive is to actually act supportive. Anything else that you may want out of this whole thing will likely never happen if your relationship falls apart. So, if you want the relationship and want some other things as well (as you have noted) you FIRST have to make it clear that you’re supportive (even if you’re really not) and that him and his happiness is important to you. He wants you to be on his side. If you’re not on his side, or he perceives that you’re not, you don’t really have a relationship. And while you’re at it, really seek to understand how he’s feeling. Swim around in his swim shorts for a while & see how he might be feeling. I think your attitude might change quite a bit if you walk in his shoes for a while. My wife told me once that she’d marry again quickly if I died. (Don’t ask me why we were discussing this.). It kind of hurt to hear that. But on the other hand, do I really want the person I love to be depressed and alone? Of course not. Of course she will date and possibly remarry. She SHOULD. So should your Father in Law. Re: Step dad dating- I can kind of empathize with you; my father divorced my mother and less than a year later he was engaged to his mistress but they were dating waayyy before the divorce was final. I would suggest maybe asking your stepdad if you can take some of your mother’s stuff before he gives it all away. My uncle was married to his wife for 40 years. She was sick with breast cancer for about 10 years and he took care of her through it all. My dad said he was pretty young when he met my aunt and 6months later they were engaged. She passed away december 1st 2015. Had the funeral dec. 12.2015 He came over at christmas and seemed ok, then he fell down a couple weeks later while skating and ended up injuring his head which caused him to get hospitalized and had to be operated for blot clots in his brain. After the hospitalization he was sent to a outpatient rehab center in april/may. While there he met a woman that was volunteering the patients by entertaining them playing the piano and singing. My uncle also has a love of music and plays the accordion. He was discharged in june. He sent us a letter in september telling us he had been seeing this woman since august and wrote “Goodbye loneliness” We were stunned as it had only been 9 months. He introduced her to the family in november by doing a surprise little concert show and told my dad (his brother) he was so happy and had started accompanying her on the accordion to do her singing shows. She is a widow as well with no kids. Fast forward 2 weeks ago and we got an invitation for an engagement party in march. They dont intend to get married because they both receive spousal widow checks from the government but if you think 18 months is bad my uncle managed it in half that time. He is a very sensitive emotional person and i think he wants to cling to companionship but all of us do think its really fast. His 2 kids seem ok with it though. My aunt was sick for a long time and he was very dedicated and put his own life on hold to take care of her for a long time so ware happy that he is enjoying himself but like he wrote at 60 or older when men are used to having someone with them, and suddenly the wife is no longer there, they get lonely very quickly and are looking to fill the void as they dont know what to do with themselves. I just want to follow my other comment. I was made aware that my uncle soon after my aunts passing had already removed many of her belongings. In comparison, my other uncle who also lost his wife suddenly in august 2015 after being married just as long is still on his own. He apparently went on a few dates but wasnt really interested in any of them. He has left the house pretty much intact with all my aunts things still in the closet and left her message on the voicemail that when you call and want to leave a message its her voice you hear. Hes been pretty good about keeping house on his own and keeping himself busy by himself. I really think it ultimately comes down to the grieving, as well as the need for companionship. Some can transition to being alone better than others. Since you are an adult and have a life of your own he knows he cant depend on you to spend all your time with him so he has latched on to someone else to forget a bit of the sadness. If you go and see him and just want to talk about your mother than maybe he finds it hard to speak about or relive. I think you should give him time and space. Eventually I am sure he will be more willing to see you but i wouldnt bring up anything about dating quickly. If moving on is what it takes to make it easier for him than let him. @katieottawa: exactly. There you have two different examples. Some manage being single very well, and maybe enjoy it. That type of person won’t rush into serious dating. Eventually they may find someone, but their life is not falling apart with loneliness. The other example, quite the opposite. I know of several examples of engagements closer to the six month time frame. Objectively, it’s way too fast. But it does no good to bring it up with them. They’re lonely. And men tend to get into problem solving mode real quickly. So, if they’re lonely, they’ll seek companionship. If they like the comforts of marriage, they’ll look to get married ASAP. Maybe surprisingly, it often works out pretty well. But, of course, it can be very upsetting for grieving families. I understand the feeling as I went through it with my Dad. Wow, it’s tough to watch. But I went ahead and was supportive. And, it didn’t last…. . But maintaining the relationship was the most important thing. Really, who am I to tell my Dad who to date and how long to grieve? I don’t even tell my sons who to date. Emotion can really get things twisted in your head. But I guarantee two things. (1) It will hurt the relationship if you challenge them about their dating (2) Nothing you say is going to change what they are doing. There is no benefit to giving them a hard time. Only the possibility of ruining the relationship. I think I missed the part at the beginning of the letter about widowed step dad being cold and distant – this seems to be a primary concern. Perhaps he is anticipating/projecting that you will have a non supportive negative response to his happily dating after your mom’s death – he doesn’t want to deal with conflict over this. As you tried to do, you met with him to deal with this change of behavior, but I think you may not have been supportive when you were not encouraging of him to share more pictures/stories of the new woman that he has met and brought into his life. May I suggest that you have an honest heart to heart in a comfortable space to really ask him about your concerns of him becoming cold and distant over time. Be prepared to really hear what he has to say. Share with him that he is your family, you love him, and that you do not want to lose him; then offer to work with him on how best to keep your father/daughter relationship strong through whatever happens next. Be kind, supportive, loving. Ask for him to be kind, supportive, loving in return. My friend who went through this recently bought a beautiful decorative chest for her dad after her mom died from illness, (he began dating the hospice caregiver shortly after her mom’s death and got engaged within the year…) Together she and her dad went around his home and took pictures of her mom off the walls/mantels etc and placed them in this very special box in preparation of making the home welcoming for his new wife and his next story in life. She was supportive, loving, compassionate, and created a healing ritual for the change – they both cried and laughed together as they made space for his fiance to assume role of late in life partner and “grandma” to young grandchildren in the family. He keeps his box in his office in a special cubby, he has a picture of his passed wife and the family on his desk next to a picture of his new wife and all the grandchildren on a recent family trip to Hawaii – No one has forgotten that he had a beautiful happy marriage to one woman for many years and now has another beautiful happy marriage for his final years – everyone appreciates the benefits of their ever expanding family. Thanks for the link to the epic Nick win. I forgot how much fun that entire moment was. I liked Nick even more after listening to the podcast. rob22! help! i’m new to this and not exactly sure how to navigate this site, is there a way i can send you a message? or an email?? @rehm: not at this point. Basically if you click the Contact Me link above and email Steve with your question, he will undoubtedly print it. If I don’t answer it, alert me in a comment and I will make every effort to do so. I am considering starting a blog where I answer these type of questions, but not sure when I will get that up. I’m now reading Blogging for Dummies. Really. I try to be informed before I attempt anything new.